The Aroma of Wet Mud... Aah Heaven! All of us await the first shower of rains after months of scorching heat in summer... 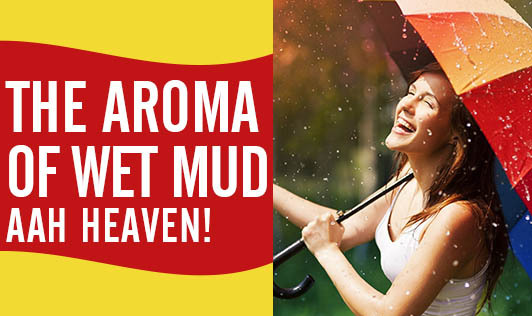 It feels fresh and rejuvenated to smell the aroma of the wet mud when the clouds pour! It brings happiness, wonderful memories of rainy season and a relief from the ever burning Sun! But be careful, as it also brings in many bacteria and viruses! Get drenched in the rains; but clean yourself up immediately after getting back home. Make sure you control the temptation of eating at the roadside joints, to keep the food and water borne infections at bay. Wash the vegetables and fruits thoroughly before eating it up! Avoid raw food (especially raw salads - go for steamed or cooked vegetables instead) when eating out. Have cut fruits only at home! Use a hand sanitizer if you can't wash your hands before having meals. Make sure your children do not eat out and wash their hands every single time before they have food. A little extra care and you are ready to welcome the rains with open arms! Don't be scared... Enjoy the euphoria which comes with!! !